'Holy Lands,' by best-selling French author, Amanda Sthers, capitalizes on one thing Jews and Muslims seem to agree on: pigs. Serendipity or trend? Just after writing about the first feature film I’d seen with both a chasidic man and a pig, I received a novel set in Israel with four dancing pigs on the cover. 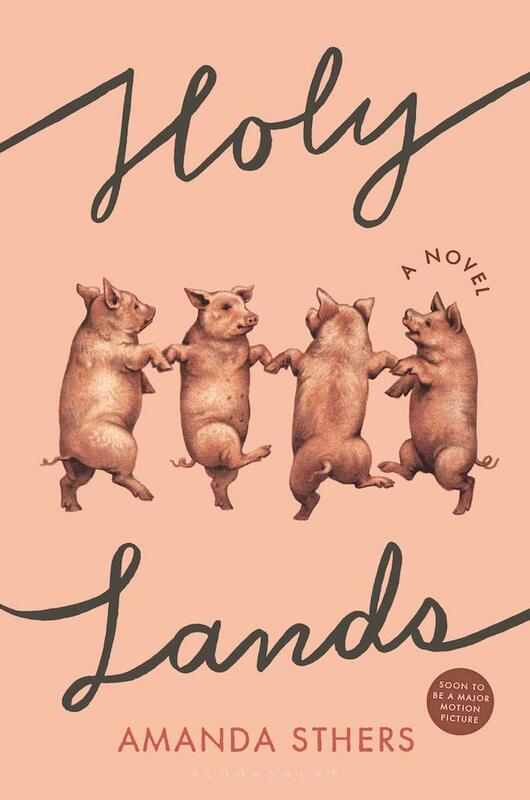 Amanda Sthers’ epistolary novel “Holy Lands” (Bloomsbury) and the new film “To Dust” starring Geza Rohrig and Matthew Broderick have little in common thematically, but the introduction of pigs adds an element of surprise, alerting readers and viewers of something unexpected. 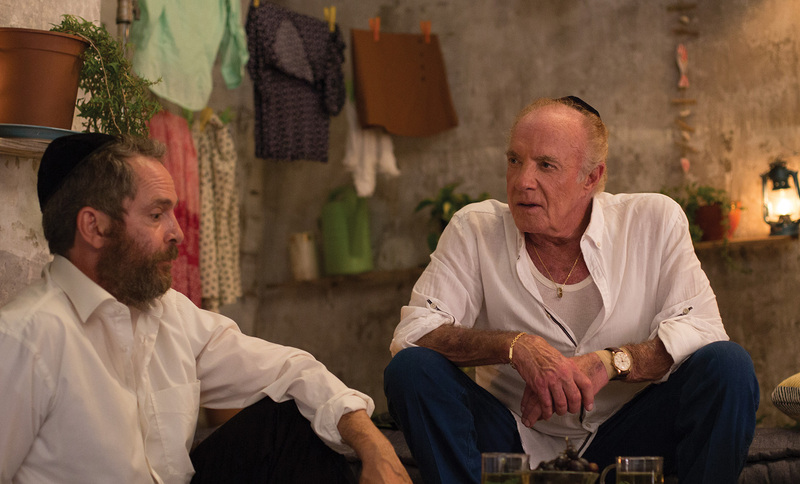 In fact, it was hearing about pigs in Israel that inspired Sthers to write the novel “Holy Lands,” which has been made into a feature film to be released this May starring James Caan, Rosanna Arquette, Tom Hollander and Jonathan Rhys Meyers. David’s correspondence with his father is one-sided, as Harry refuses to respond to him. The novice farmer — who wouldn’t let his children have pets — also corresponds with a local Tunisian-born rabbi, and their spars turn into friendship. Sthers, 40, who now lives in Los Angeles, is the best-selling author of 10 previous novels — “Holy Lands” is her American debut — and she has directed two previous films. She is among the youngest people awarded the prestigious “Chevalier des Arts et des Lettres” by the French government. Now, she says, after the killings at the Tree of Life Synagogue in Pittsburgh, she wonders if any place is safe. While Sthers chose to move to Los Angeles for her work in the film industry, she says that New York City might be closer to her sensibility. “I was born and raised in Paris,” she says. “I’ve always been very sensitive to New York Jewish humor.” Her parents gave her Philip Roth’s books to read and when she first visited when she was 18, she felt very much at home. Her love of New York spills over into her writing, for she captures New York Jewish voices as if she had spent a lifetime eavesdropping in Manhattan coffee shops. Harry’s ex-wife is French, a woman who converted to Judaism to marry him. Sthers is also the daughter of a French mother who converted to Judaism. But if there’s a character most like her, she says that it’s David, a writer who seeks approval from his father. While family dynamics are at the center of the novel, social commentary is its background. Sthers comments that the family is a metaphor for what’s happening in the Middle East. “No one wants to see the world through another’s eyes. She published the novel in French 10 years ago, and the story — about silence, walls and borders, Jewish identity, reconciliation, tolerance and love — still feels timely. “This family was still living with me. I couldn’t abandon the story. I had to really give life to them,” she says. In France, people from varied backgrounds told her that they were seeing their own families through the Rosenmercks, and that they were moved toward voicing unstated feelings. She wrote the screenplay, did the translation, casting and direction, all on a relatively modest budget. The movie was filmed around Tel Aviv, Nazareth and the Dead Sea; its farm is not an actual farm, but a space near Ben Gurion Airport. 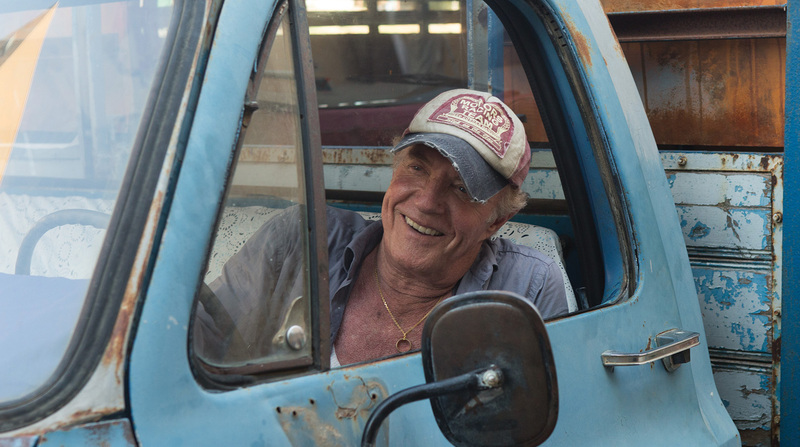 Sthers says that working with James Caan was one of the best experiences of her life. Back to the sudden emergence of Jewish characters and pigs: This week marks the beginning of the Chinese New Year, and it’s the year of the pig.